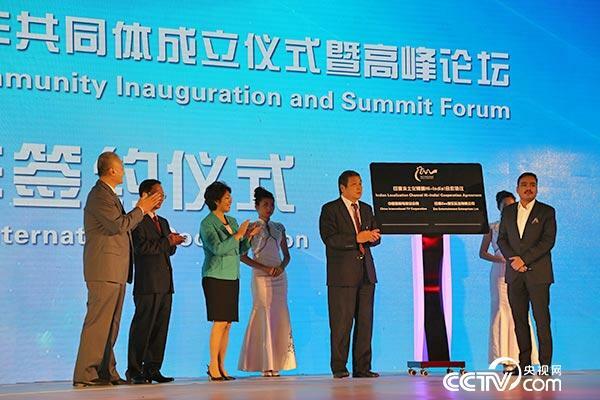 Beijing, Aug.26 (CCTV.com) --The inauguration ceremony and summit forum of the global “Belt and Road Media Community” was held August 26 in Beijing. 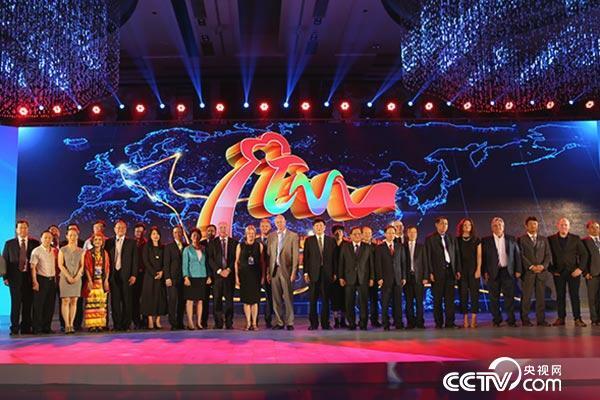 Officials of the hosts—CCTV and China International Television Corporation (CITVC)—182 guests from 78 media organizations across 50 countries, including deputy minister of Russia’s State Communication & Mass Media Ministry; minister of Cambodia’s State Press Ministry; and representatives from BBC, SONY and KBS attended the ceremony and forum. Forty-one media organizations from 29 countries joined the community and accomplishments were made concerning international television cooperation in future. 29 countries join Belt and Road Media Community at the inauguration ceremony in Beijing, August 26, 2016. 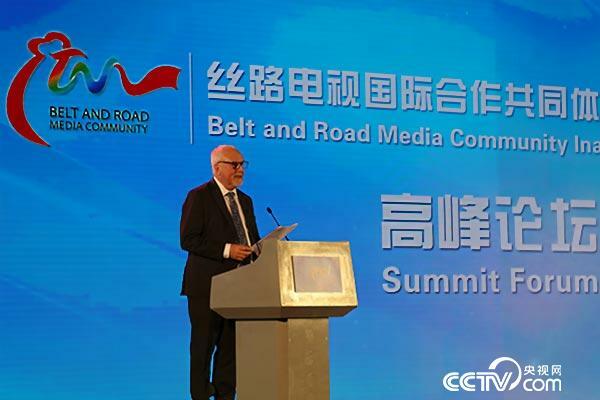 Founding the Belt and Road Media Community—the first international media league to bond under the “Silk Road” concept—was proposed at 2016 Arab Festival for Radio and Television by CCTV and CITVC in early May. Open to all media forms—including TV, video websites and social media—the community invites countries along the line of the Belt and Road to cooperate in program co-production, joint channels creation, program broadcasting, market operation and commercial integration, with the goal of creating a cooperation platform characterized by equality, openness, mutual sharing and commercialization. Countries along the line of the Belt and Road are invited to carry out cooperation in aspects of program co-production, joint channels creation, program broadcasting, market operation and commercial integration. Forty-one media organizations from 29 countries have joined the community , such as State Television of Kyrghyzstan, Serbia, Burma, and mainstream media of Nepal, Indonesia, Malaysia, UK, U.S., Russia and Italy. With members growing and future partnership to build with Broadcasting Union of Asia-Pacific, Europe, Arab and African Union, the community is expected to become one of the biggest global “television media plus” cooperation platforms. 182 guests from 78 media organizations across 50 countries attended the inauguration ceremony and summit forum of Belt and Road Media Community in Beijing, August 26, 2016. Cambodia channel Hi-Cambo!, the second localized channel overseas run by CITVC after Indonesia’s Hi-Indo!, was formally announced broadcasting at the summit forum. Deputy minister of Cambodia’s State Press Ministry H.E Kem Gunnawadh said the creating of Hi-Cambo! is historic for Cambodian TV because it offers so many excellent, rich and fresh programs to Cambodian people, all in the language of Cambodian. Vice president of CITVC Tang Shiding delivers a speech at the inauguration ceremony of Belt and Road Media Community, August 26, 2016. 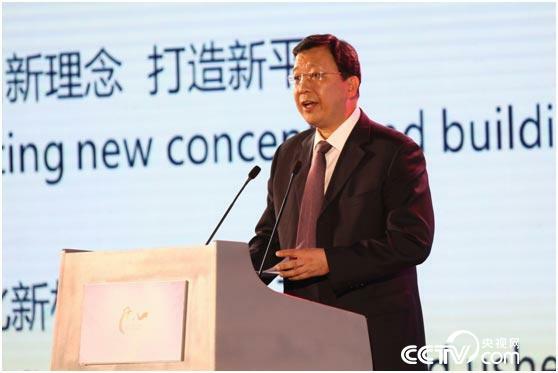 Vice president of CITVC Tang Shiding said great achievements have been made to push Chinese TV “going global” since the launch of the Belt and Road Initiative. “Selling Chinese programs” overseas has upgraded to “opening Chinese timeslot” and “creating Chinese channels.” Good ratings and popularity among audiences are accumulated through the process. For example, survey result shows Hi-Indo! is ranked second among CCTV’s overall overseas channels in terms of audience satisfaction. Such developments are well reflected in South Africa’s Capetown TV director Karen Leigh Thorne’s speech. Thorne said the Chinese documentary timeslot on Capetown TV showing Chinese culture and civilization is very welcome among local audiences, thereby enhancing China’s cultural influence in South Africa. South Africa’s Capetown TV director Karen Leigh Thorne gives a speech at the summit forum of Belt and Road Media Community, August 26, 2016. At the ceremony, many countries signed agreements and letters of intent on multiple cooperative projects with China, such as co-produced documentaries Secrets on the Silk Road, the Long March. 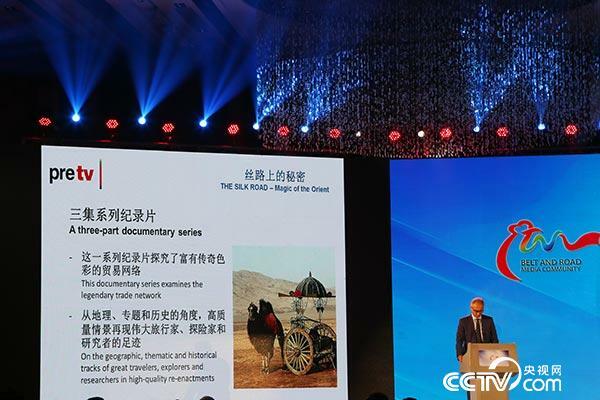 Meanwhile, a call for documentaries on the theme of Shared Road, Shared Future was launched; countries along the Silk Road are invited to jointly produce a series of Silk Road-related documentary programs. 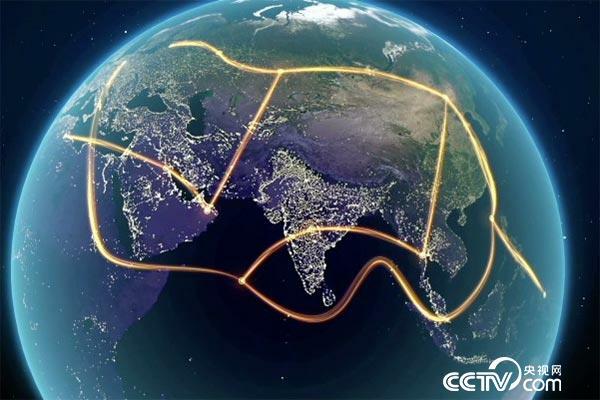 Aiming to jointly share reciprocal broadcast resources, jointly pursue mutually beneficial and innovative development by means of flexible and diverse patterns, the Belt and Road Community is bound to make greater contributions in international cultural exchanges and commercial cooperation. Agreements and letters of intent on multiple cooperative projects are signed between members of the Belt and Road Media Community, August 26, 2016. 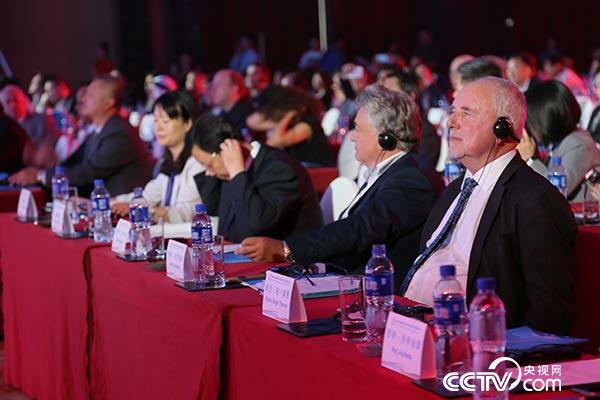 CCTV’s sub-channels also presented documentaries on the theme of Silk Road they have produced at the summit forum of the Belt and Road Media Community, August 26, 2016.